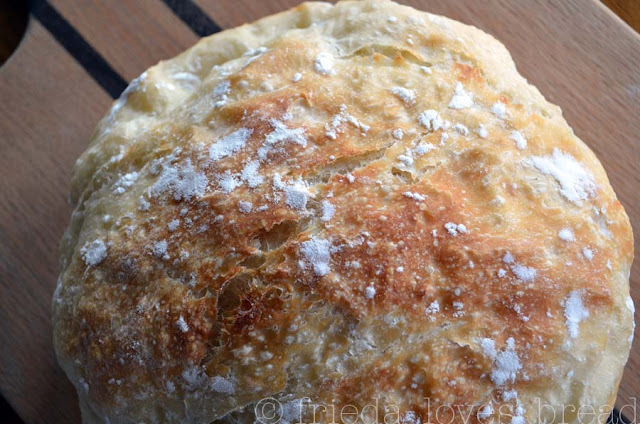 If you are a busy mom, short on time and patience, this no knead bread baking is for you. Busy moms are busy taking care of kids, laundry, schedules, etc. 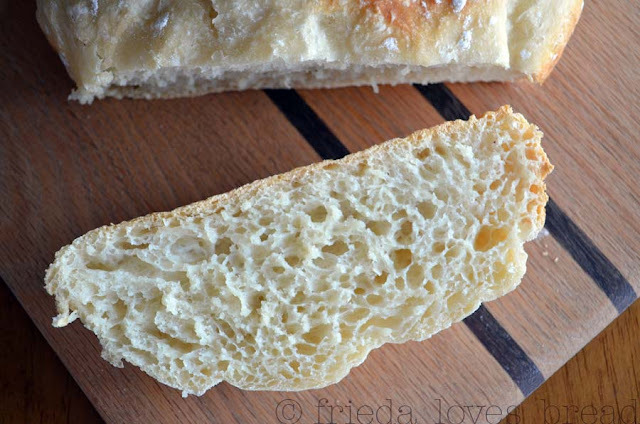 What busy mom wants to feed and take care of a sourdough starter? 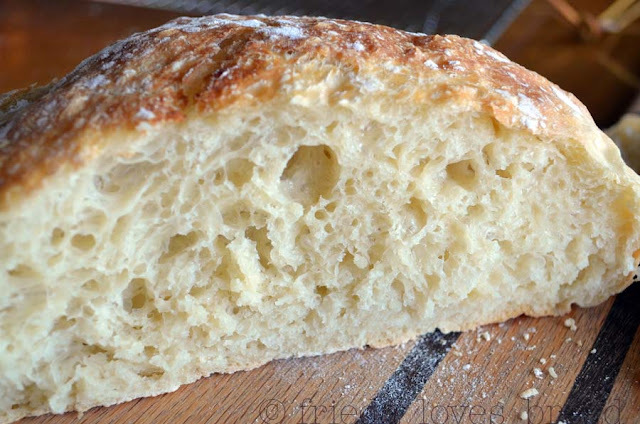 When King Arthur flour had a recipe for "extra tangy" sourdough bread, I learned their secret. Citric acid is used for canning, sprouting, drying or freezing to preserve vitamin C content, retard spoilage and prevent browning. It can be found in most health food or kitchen specialty stores. I used it in my Lemon Water drink that combines pure lemon extract and citric acid for a sweet, lemony and slightly tart flavor. 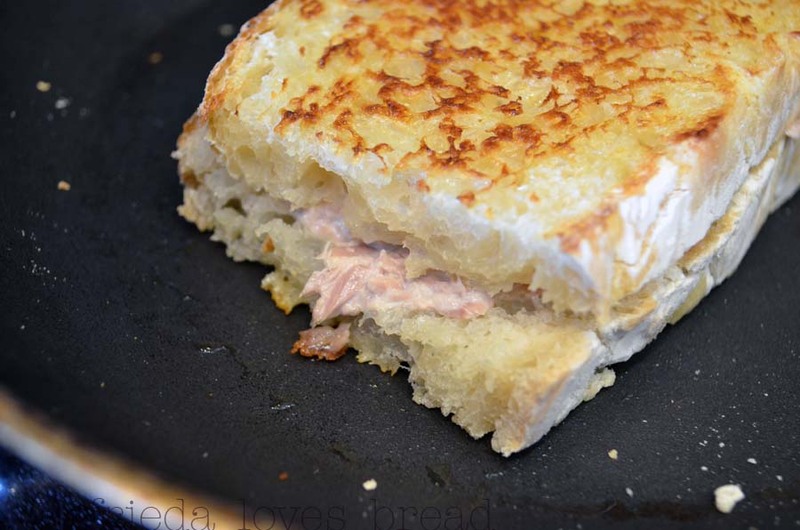 Why not add this to no knead bread? No knead bread does not require any special tools or materials to make. It literally takes 5 minutes to mix, 1 minute to shape, and the rest of the time is, well, "resting time." The dough "rests" over night for 12-18 hours, shaped, and then "rests" again in a parchment paper lined bowl for an hour or two. Bake it in the oven for 40-45 minutes, and you will have an airy, bubbly, crispy and chewy crust that is fabulous dipped in olive oil and balsamic vinegar. A tangy, but not mouth-puckering bread that resembles sourdough. It does lack the depth of true sourdough, but if you are in a hurry, this is a close runner up. I have never been able to achieve the intense sour flavor reminiscent of San Francisco sourdough bread, but the next time I make sourdough bread from a starter, I will add a touch of citric acid to the dough to increase the "tang." You're killing me with that grilled tuna!! I bought some citric acid, from KAF, to try this recipe. Glad to know it's a good one. That reminds me... I need to feed my starter! Looks like a beautiful loaf, Frieda.